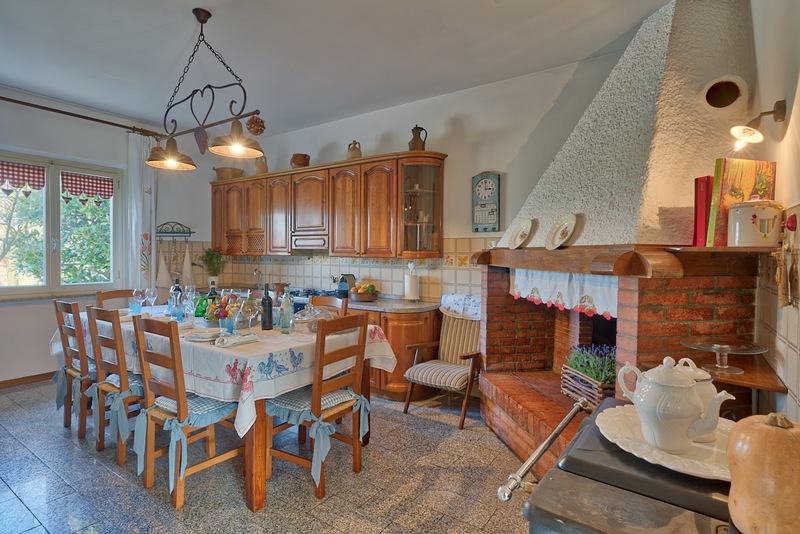 Large countryside villa, built in the seventies, 500 sq. 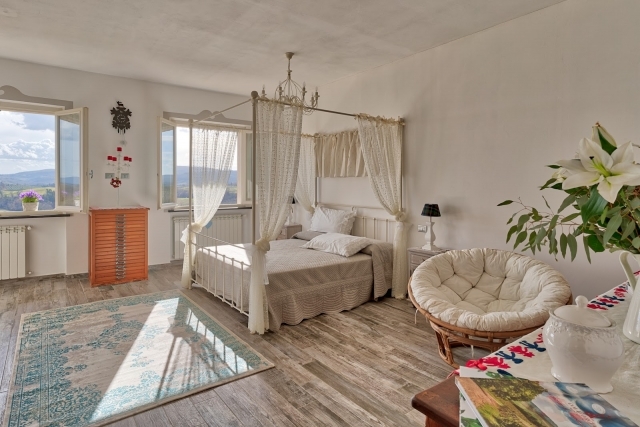 m. with 6 double bedrooms, a double sofa bed and 4 bathrooms capable of holding up to 14 persons with a garden, private swimming pool and wide open areas perfect for spending your time outdoors. 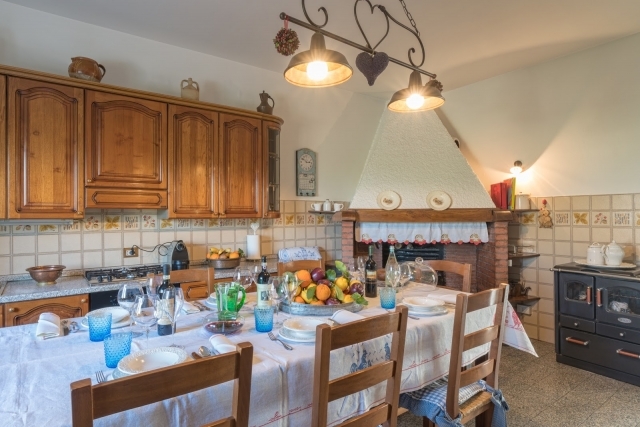 The house is ideal for small groups of friends. 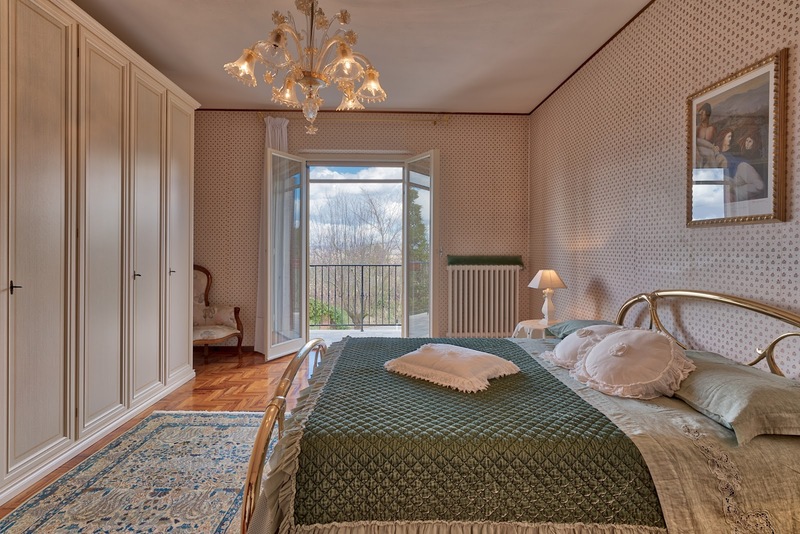 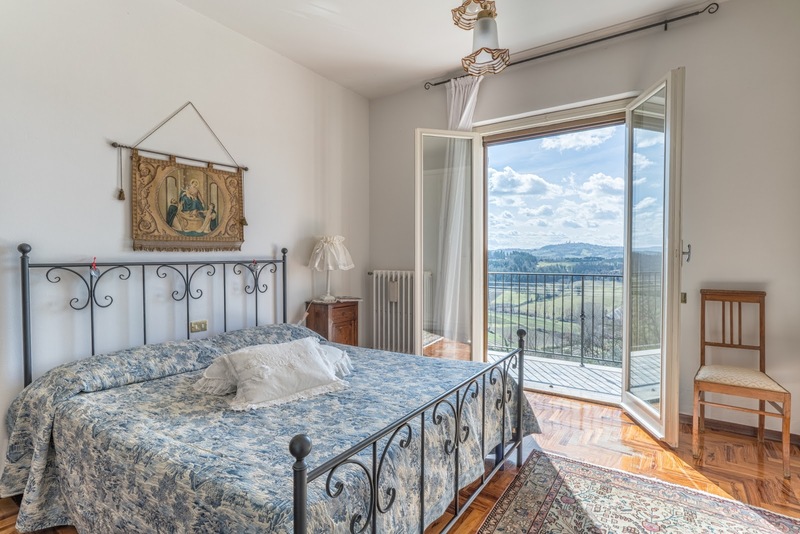 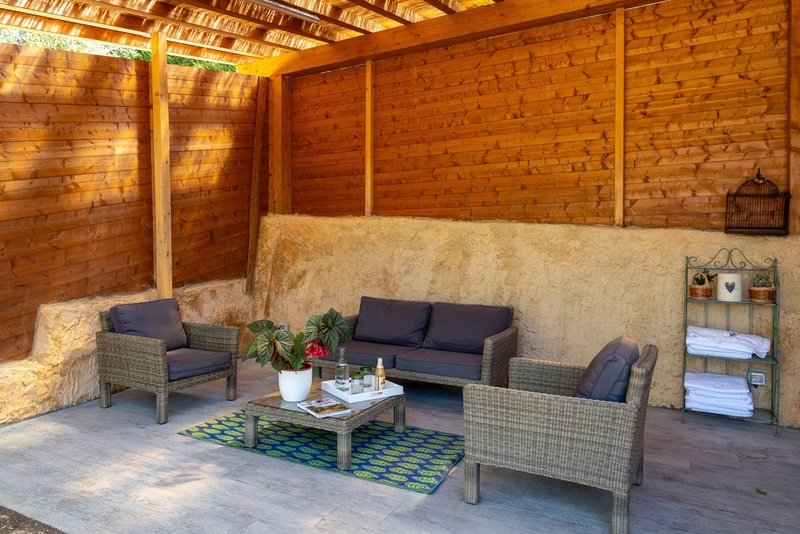 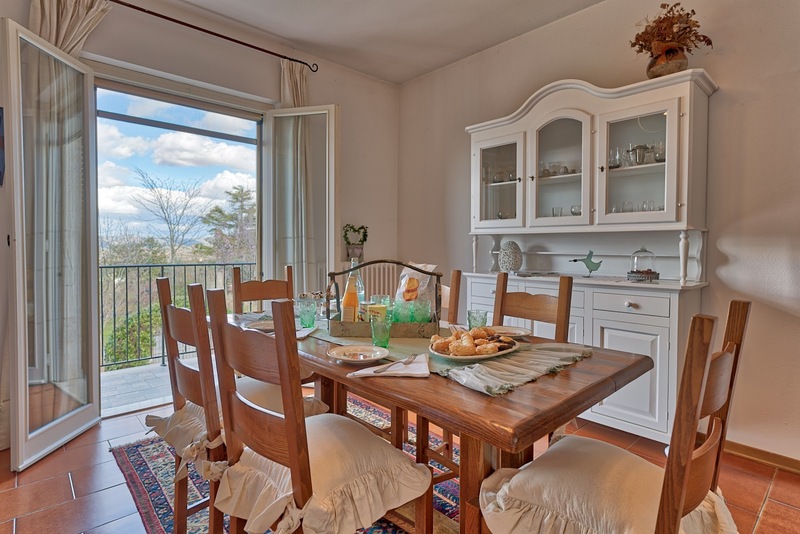 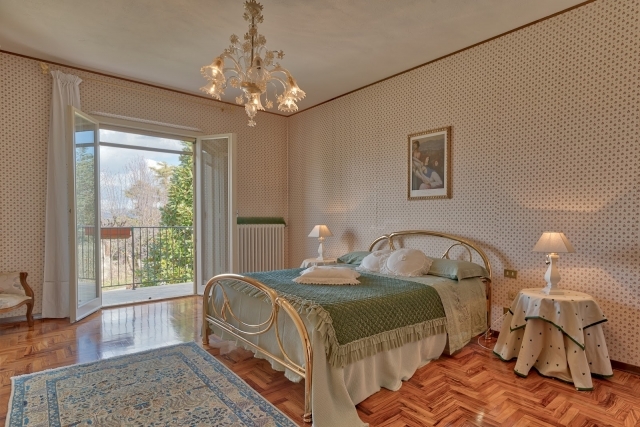 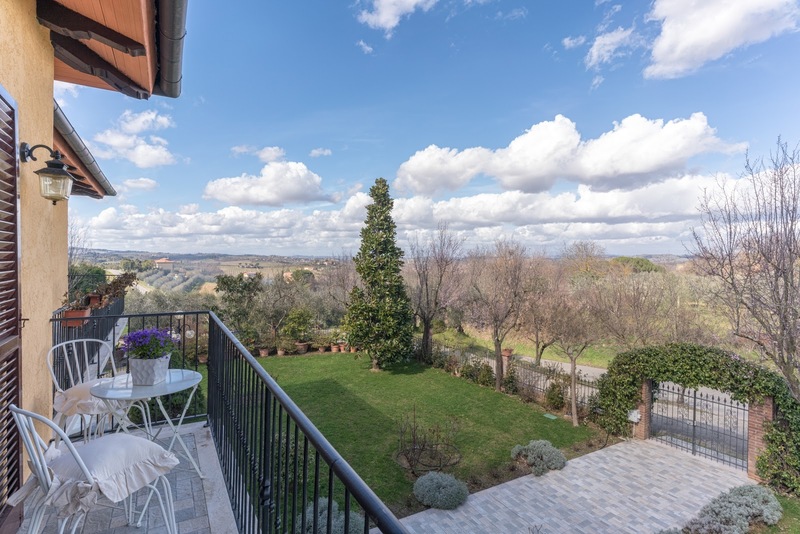 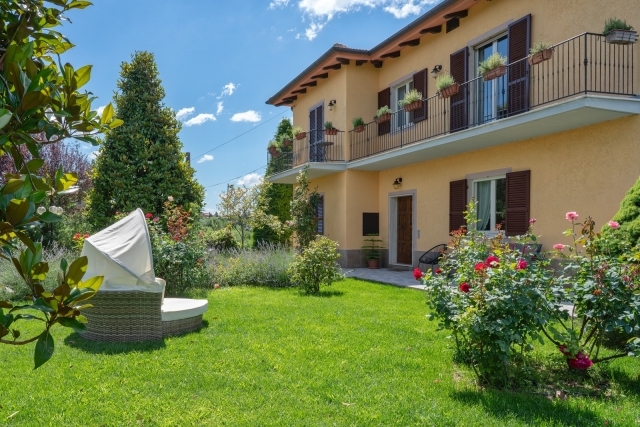 The villa is completely enclosed, with a large, well-kept lawn with tall plants measuring over 400 sq. m. on three sides of the house, perfect for staying outdoors and having barbecues. 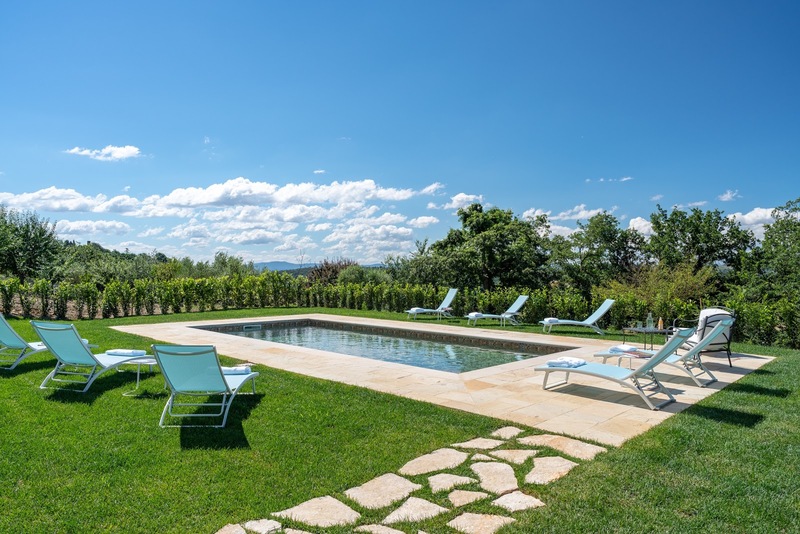 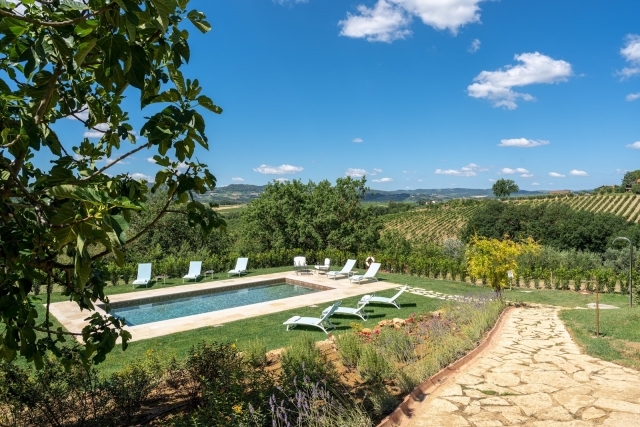 In a sunny, panoramic position, just lower than the house, is a rectangular swimming pool, 4 metres by 9 with a depth of 1.5 metres, externally paved on the shorter side and complete with sunbeds, outdoor shower and some shaded areas for relaxing or admiring some beautiful sunsets. Parking is inside the property. 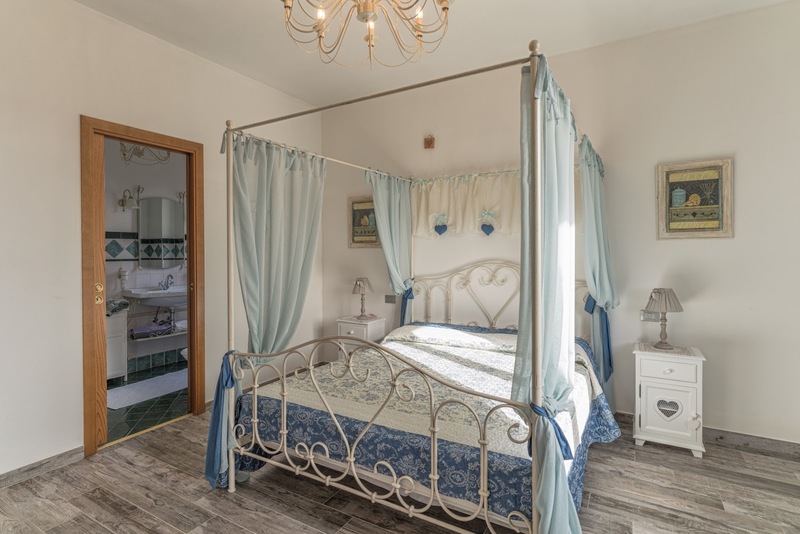 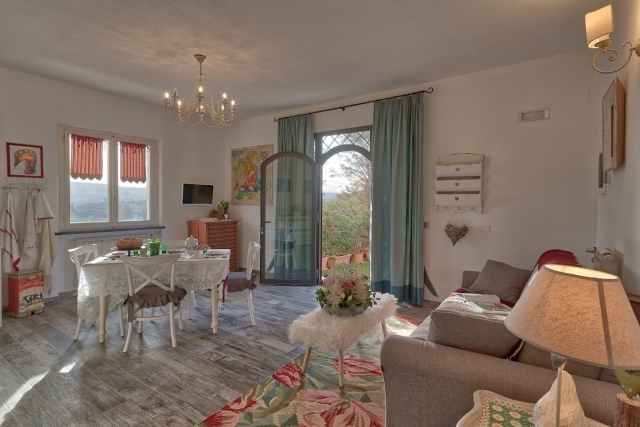 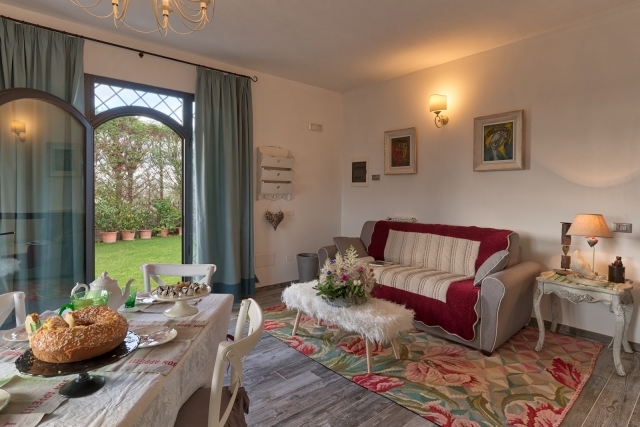 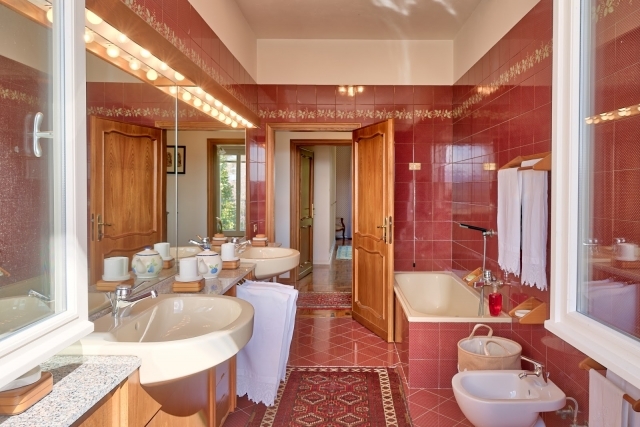 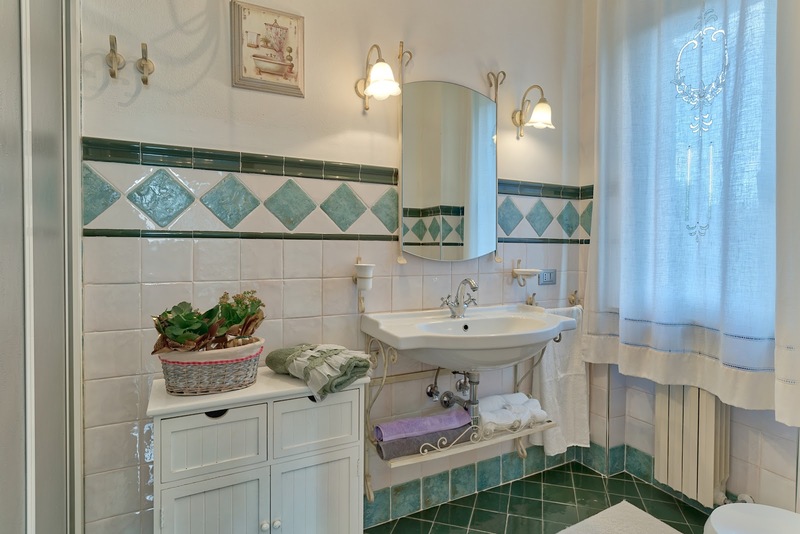 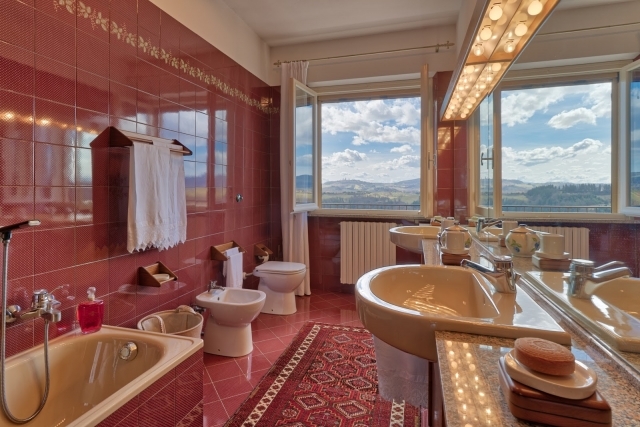 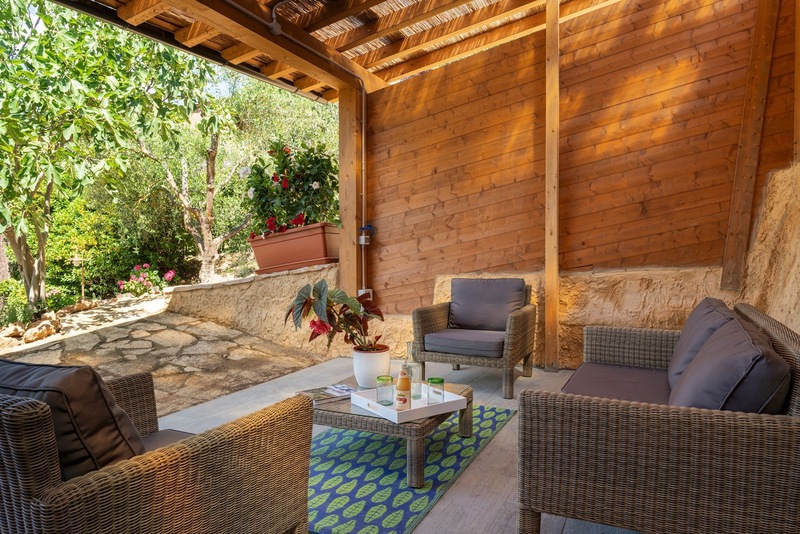 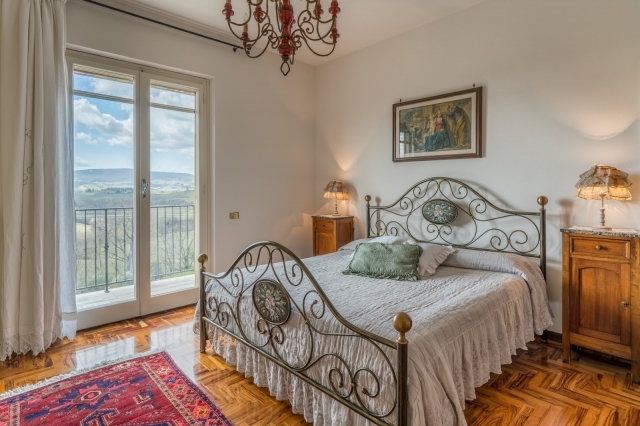 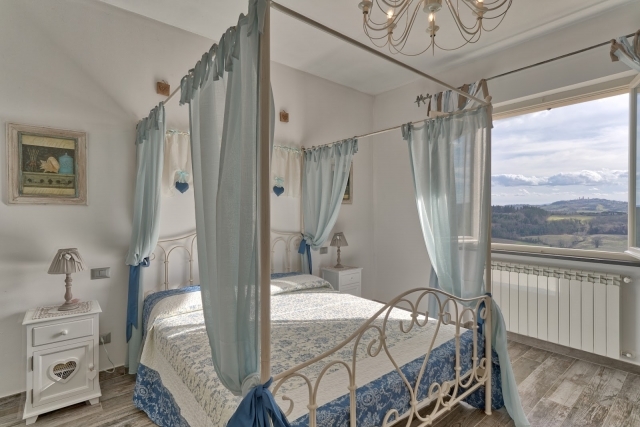 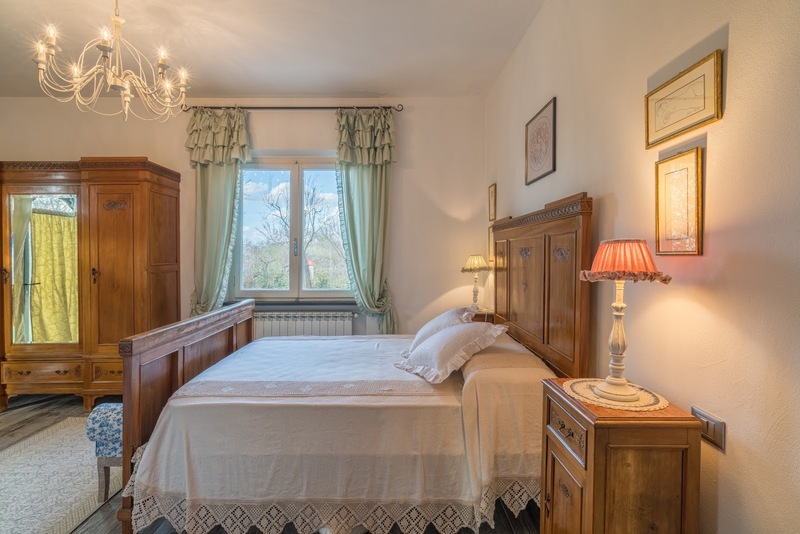 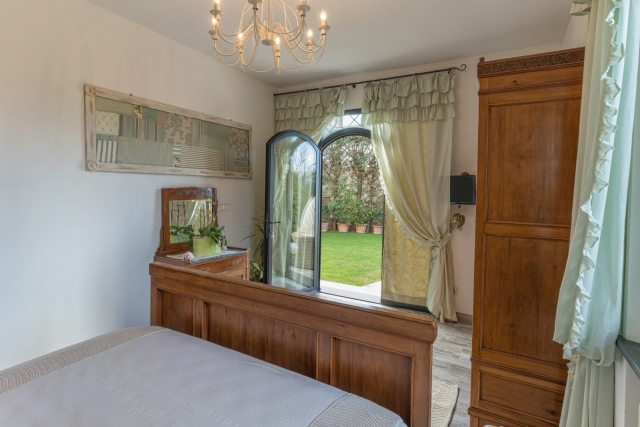 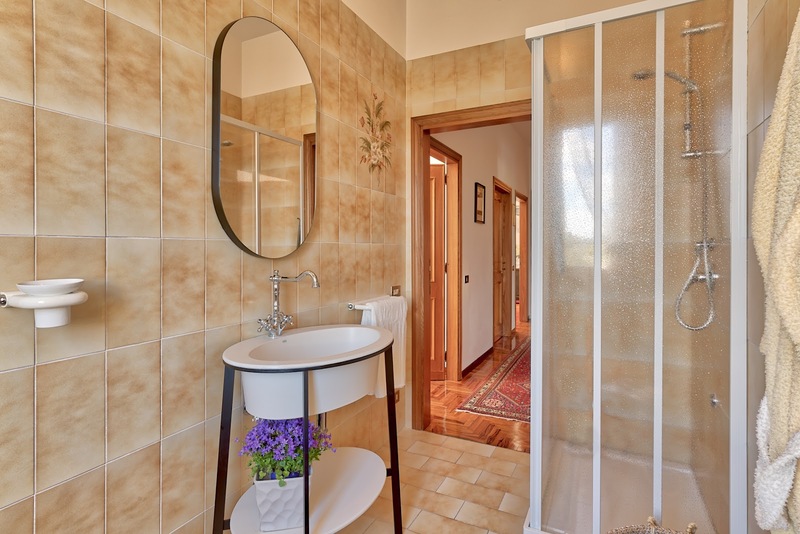 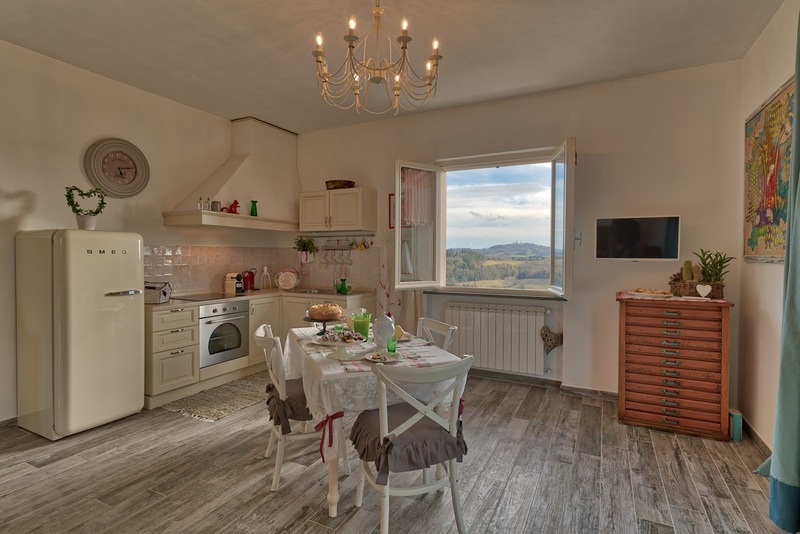 The villa has been refurbished recently, with particular attention to detail and a classic style of furniture which creates a relaxing atmosphere. The house is on two floors. 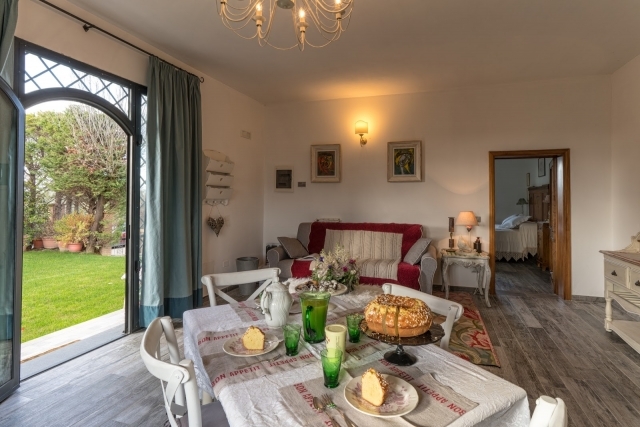 The main entrance is accessible from one of the outdoor paths and on the ground floor you will find the large, fully-equipped kitchen with dining table, satellite TV and fireplace, 2 large double bedrooms each with a four-poster bed and large windows, one bathroom with shower and washing machine. 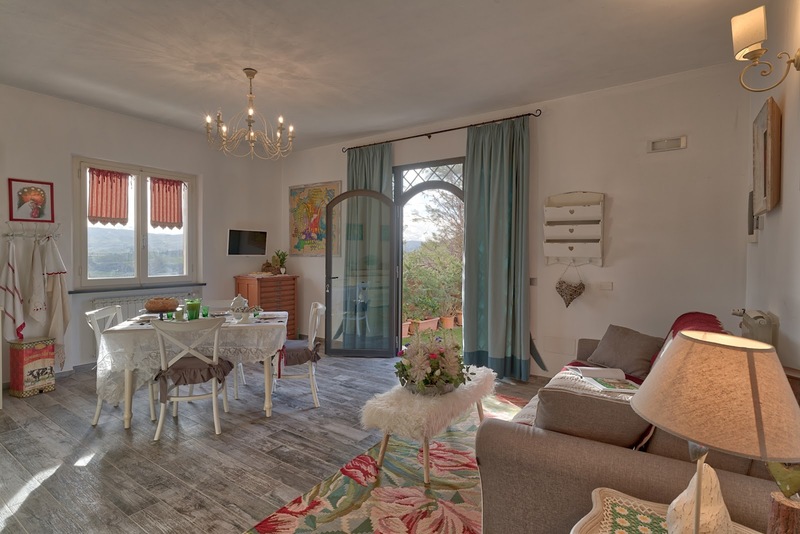 A staircase leads to the first floor, where there is a relaxing area, with a sofa and satellite TV and access to the panoramic terrace, 3 large double bedrooms with a great view and access to the outdoor terrace, 2 bathrooms, one with two sinks and bathtub, the other with shower. 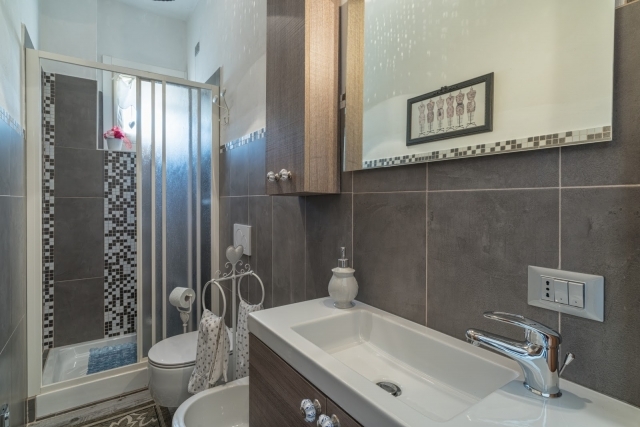 Finally, on the ground floor but with a separate entrance from the garden, you will find a double bedroom with bathroom with shower and a large living area boasting a double sofa bed, satellite TV and cooking corner, with access to the area of the garden for outdoor meals.